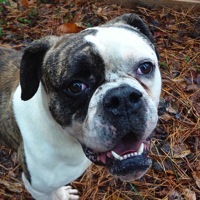 - Georgia American Bulldog Rescue - ADOPTIONS - Rescue Me! Saiyan is a very good boy and would make a family a wonderful pet. He loves to play and is good with other dogs. He's a very loving dog but he has become food protective and we have other Pets that he could potentially hurt.